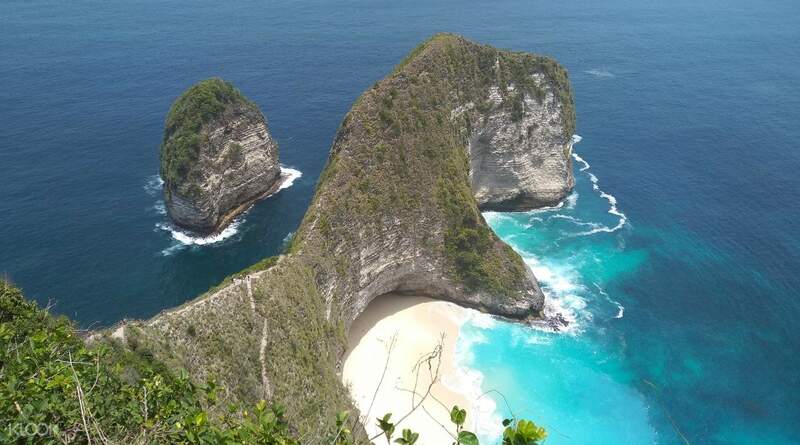 Book through Klook and go on a trip to explore the scenic west side of the gorgeous Nusa Penida island! Hop on a comfy boat and go on a filmic boat ride to the island all the way from the picturesque island of Bali. If you want to experience the eastern side of Nusa Penida, book East Nusa Penida Whole Day Trip in Bali on Klook! Service was good. Hassle free. Just follw the instructions provided by klook. 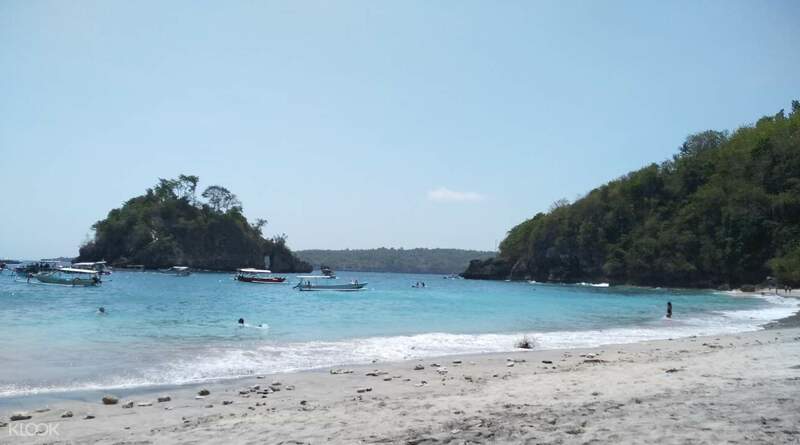 If you’re visiting the island of Bali, then you might want to know that there’s a nearby island that’s great to visit if you want to avoid the noisy crowds. 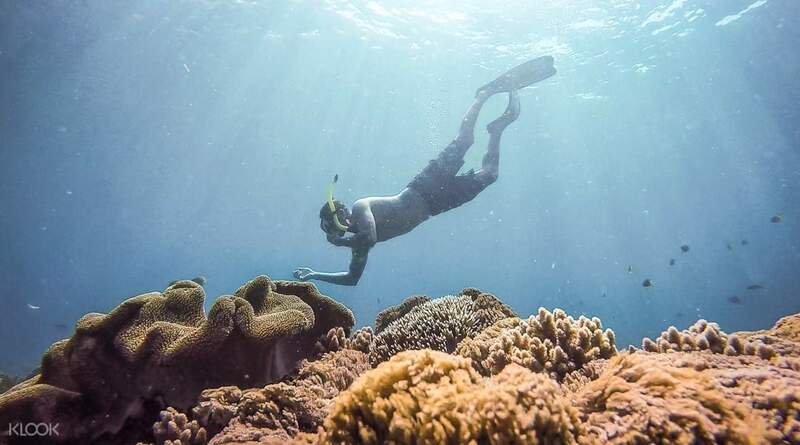 Book through Klook and go on a wonderful trip to the West Side of the Nusa Penida island and revel in the joys of its tranquil atmosphere and picturesque landscape. Drop by magnificent photo stops worth posting on your Instagram, such as Angela Billabong, Broken Beach, Kelingking Beach, and the Crystal Bay. You'll get the opportunity to go swimming in the crystal clear waters of the area. 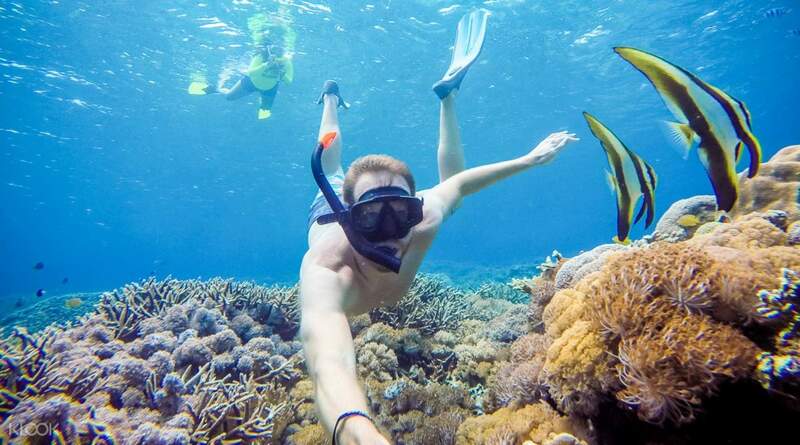 You can even go snorkeling in Crystal Bay, Manta Bay, or Wall Bay and discover the majestic marine life in the area. This is definitely a must for any beachgoer visiting Bali. 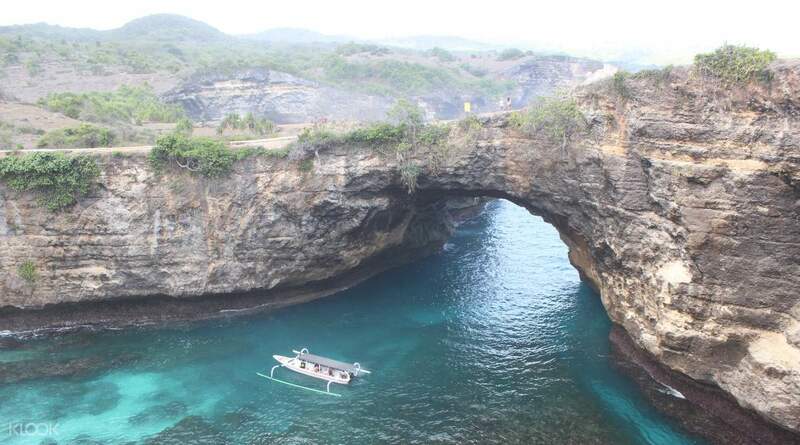 Book through Klook and visit the picturesque west side of the Nusa Penida island near Bali! A special thanks to klook and the team, especially Wayang our driver, photographer and tour guide 3 in 1. His english is kinda average but it’s still understandable kind. The trips are all amazing! Snorkelling are amazing too!! Couldn’t really explain much but if you book under klook, trust me you won’t regret it! A special thanks to klook and the team, especially Wayang our driver, photographer and tour guide 3 in 1. His english is kinda average but it’s still understandable kind. The trips are all amazing! Snorkelling are amazing too!! Couldn’t really explain much but if you book under klook, trust me you won’t regret it! The tour was great. It was tiring but at the same we were so happy on this experience. Everything was well coordinated, from our driver Dias going to Sanur beach to our driver Putu at the West Penida. It was a hassle free trip. Also, Putu was a great photographer and very kind. Will recommend this to anyone. Thanks Klook! The tour was great. It was tiring but at the same we were so happy on this experience. Everything was well coordinated, from our driver Dias going to Sanur beach to our driver Putu at the West Penida. It was a hassle free trip. Also, Putu was a great photographer and very kind. Will recommend this to anyone. Thanks Klook! Klook made it so easy. You have nothing to worry about from hotel pickup to the transfer to the boat ride. Another driver with your name sign will meet you on Nusa Peninda. Beautiful island and awesome drivers. Klook made it so easy. You have nothing to worry about from hotel pickup to the transfer to the boat ride. Another driver with your name sign will meet you on Nusa Peninda. Beautiful island and awesome drivers. The tour was worth it 😊 all of the driver is on time and kind starting from pick up in our hotel going to the harbor and the driver waiting in the harbor was kind also, the lunch included was delicious.Thanks to Klook. The tour was worth it 😊 all of the driver is on time and kind starting from pick up in our hotel going to the harbor and the driver waiting in the harbor was kind also, the lunch included was delicious.Thanks to Klook. highly recommended! driver, tour and snorkeling guides all very friendly and nice. they will take care of you until your trip end. thanks for the well organized tour ! and it will be super memorable. definitely recommend to my friends in the future too! highly recommended! driver, tour and snorkeling guides all very friendly and nice. they will take care of you until your trip end. thanks for the well organized tour ! and it will be super memorable. definitely recommend to my friends in the future too! Super great experience, taking home literally thousands of magnificent and insta-worthy photos! Our guide, Oka, is great, sharing stories about the island and he's a great photographer, knowing well the best photo spots. The island is very hot, so make sure to bring a hat and a sunscreen. We were appalled by the beauty of the island. The downside is the road that is very bad in some places, but our driver is very skilled in making sure that we are not too shaken in the well air-con new car. There are crowds waiting to take photos in line, so you will have to queue Oka also queued for us... while we wait in the shade (yes, we love you, Oka). Super great experience, taking home literally thousands of magnificent and insta-worthy photos! Our guide, Oka, is great, sharing stories about the island and he's a great photographer, knowing well the best photo spots. The island is very hot, so make sure to bring a hat and a sunscreen. We were appalled by the beauty of the island. The downside is the road that is very bad in some places, but our driver is very skilled in making sure that we are not too shaken in the well air-con new car. There are crowds waiting to take photos in line, so you will have to queue Oka also queued for us... while we wait in the shade (yes, we love you, Oka). Klook organised the tour very well. It was definitely hassle free. The drivers both in the city (Noman) and in Nusa Penida (Made) were awesome, punctual and friendly. We enjoyed the 4 tourists spots, Kelingking Beach, Angel’s Billabong, Broken Beach and Crystal Beach. I just wished that we had more time to enjoy each scenic spot. Be prepared as both the boat and the car ride in Nusa made us all dizzy. Klook also provided us with free lunch. By the way, you need to eat heavy breakfast as you will definitely have a long and tiring day. Everything though was worth it! The whole day package is a great value for money. Thank you Made for your dedication to take great photos for us even to the point of climbing a tree. You are the BEST!!! Klook organised the tour very well. It was definitely hassle free. The drivers both in the city (Noman) and in Nusa Penida (Made) were awesome, punctual and friendly. We enjoyed the 4 tourists spots, Kelingking Beach, Angel’s Billabong, Broken Beach and Crystal Beach. I just wished that we had more time to enjoy each scenic spot. Be prepared as both the boat and the car ride in Nusa made us all dizzy. Klook also provided us with free lunch. By the way, you need to eat heavy breakfast as you will definitely have a long and tiring day. Everything though was worth it! The whole day package is a great value for money. Thank you Made for your dedication to take great photos for us even to the point of climbing a tree. You are the BEST!! !